Start having fun and making fabulous drinks with this 10 piece bar set by Oggi. 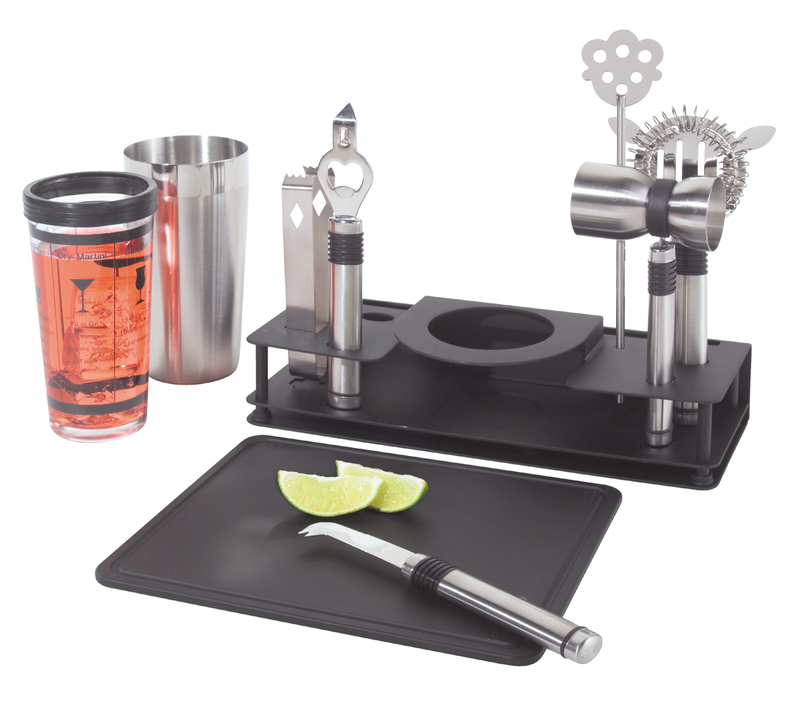 This sleek stainless steel set from the Metropolitan Collection contains everything you need to have a successful bar set up- an ice strainer, 10 stir spoon, ice tongs, shot measure, bottle opener, parring knife, plastic 8-1/2 inch by 5-1/2 inch cutting board, tow-tone shaker with a slip free grip, and 5 cocktail recipes. A handy, easy-to-carry caddy with rubber feet is also included to keep everything neat and organized when not in use.